I really enjoyed Last Train to Omaha. It felt like literary fiction to me: much deeper than my usual reads, which was a great change of pace. 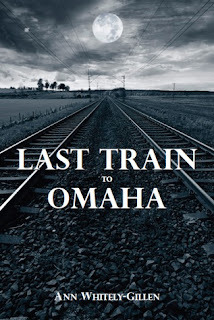 Last Train to Omaha is a fairly long book, which allowed for more depth to the story. Whitely-Gillen has written a very insightful, emotional and deep book, and it's not to be missed. My favorite thing about Last Train to Omaha was the characters. They were so well-developed and diverse, and made the book a joy to read. I loved how there was a large cast of characters with many stories, some of which intertwined. James and Rebecca are the main characters and each go through some pretty tough personal journeys. Martin Diggs was the most enigmatic and entertaining character in the book. I loved him and thought he added so much depth and emotion to the story. Martin is a very well-read, intelligent, and wise character, and is often the voice of reason to those around him. He often quotes poetry, and he stole the scene every time the story came back around to him. Martin's words of wisdom made for an inspiring read. Whitely-Gillen did a great job developing the characters. I liked that Last Train to Omaha takes place over several months, because it gave the characters time to really grow and change. I really enjoyed the emphasis on personal growth and acceptance of your circumstances. It made the book feel very useful for my own life. My one complaint about Last Train to Omaha was that the story moved slowly at times. It's definitely not a fast-paced, action-packed read. The book is more about emotional growth and the pace of the story reflected that. 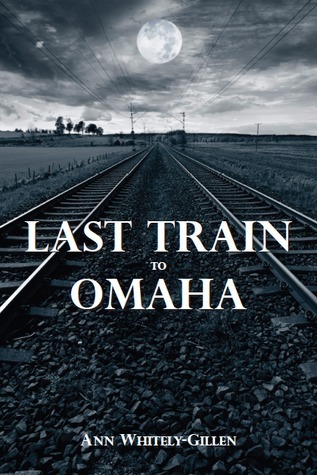 Last Train to Omaha was not like the books I usually read, but I enjoyed it immensely and would recommend it to anyone. It would be a great book club pick.